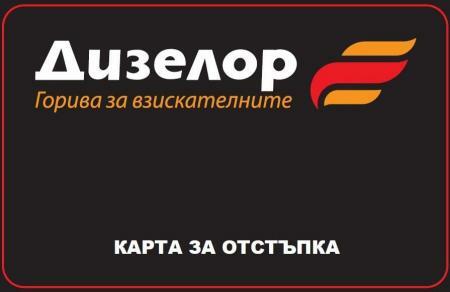 Load fuel as much as you want with Discount card Dieselor, which gives you up to 12 stotinki/ liter discount. 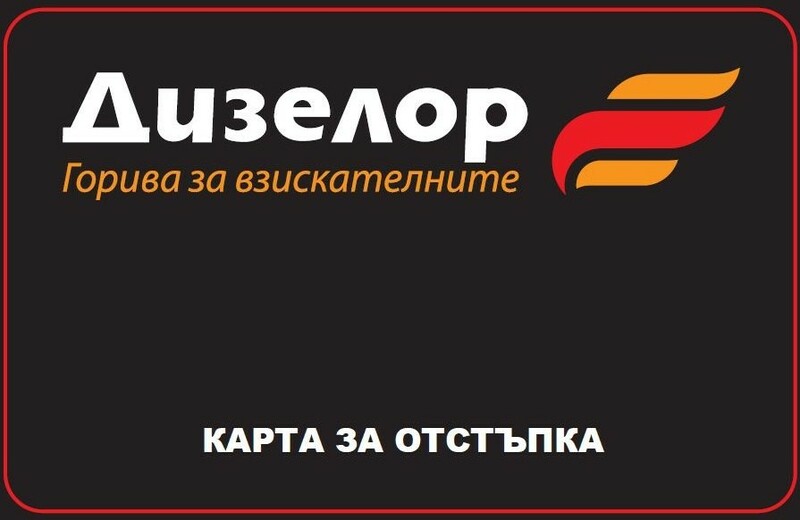 Every customer of petrol stations Dieselor can get a card for discounts for refueling. To do so, the only condition is to load 20 liters of fuel and to fill a registration form. In a few days you will receive your card in place. For subsequent refueling there is no requirement for minimum quantity. Load as much as you want and save money at the same time. It is not only that! Every holder of a discount card has the opportunity to take advantage of different promotions throughout the year, allowing you to save and win even more during the campaigns! If you want to be informed in due time, give your consent for this when filling the application form.